Summer is just around the corner, and the warmer weather will see many Australian’s flocking towards water. Lake Macquarie is the perfect destination to plan your summer retreat. 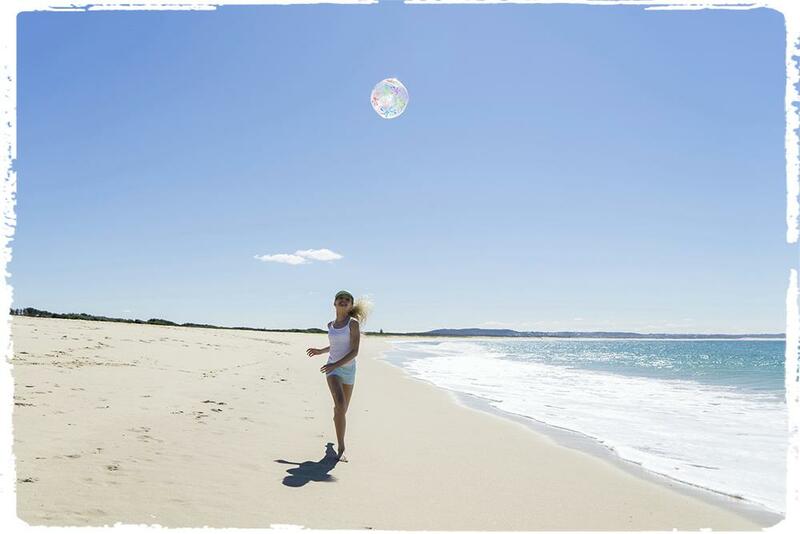 From amazing family friendly beaches, sea caves, isolated inlets and rock pools through to surf breaks, snorkelling spots, diving locations and kayaking routes, Lake Macquarie’s 30kms of unspoilt coastline is a water lover’s utopia. Blacksmiths Beach – one of the area’s top swimming beaches protected by a break wall, plus with nearby Grannies Pool, it provides the perfect location for splashing around with toddlers. Caves Beach – perfect for families, especially with the sea caves and rock pools to explore at low tide. Catherine Hill Bay – set on the shores of a picturesque historical mining town, this is a perfect spot for snorkelling and diving to view local shipwrecks, as well as offering some amazing surf breaks. Redhead Beach –at the northerly end of a nine mile stretch of coastline, Redhead is shadowed by amazing red cliffs and sports the iconic shark tower. A perfect spot for swimming, surfing, fishing, or simply marvelling at the view. And while the district’s beaches offer some amazing swimming spots so too does the Lake. Its secretive sandy inlets can be discovered by boat, which holiday makers can hire from suppliers including: Lake Macquarie Boat Hire, Lake Macquarie Yacht Charters and Lake Macquarie Catamaran Charters. For thrill seekers after something fast paced, Jet Buzz, is a must. 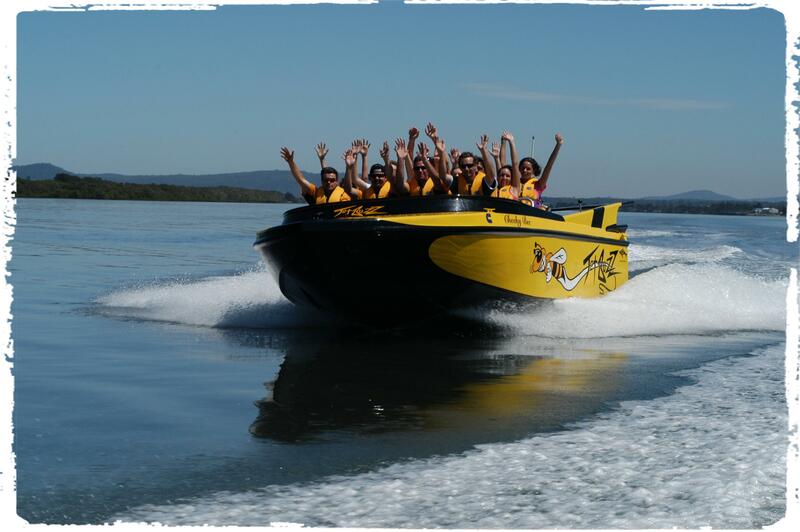 Located at Cams Wharf (Rafferty’s Resort) JetBuzz provides an action adventure ride for the whole family. Choose from a 35 minute ‘thrill ride’ across the lake as you stomach a heart stopping combination of high speed slides and turns and JetBuzz’s famous 360° spins, power brake stops and fish tails. Or the 1 hour ‘Ocean Extreme’, where you cross the bar and head into the ocean for an adventure before exploring the surf at Blacksmiths Beach or Caves Beach and enjoy riding some waves, as well as the traditional spins and thrills. For those after a relaxed water adventure, JetBuzz also rents boats, kayaks and paddle boards, or Lake Macquarie Kayak and Bike Hire can deliver to your door. You can enjoy one of the many kayaking routes from Dora Creek to Swinging Bridge and Speers Point to Barnsley Weir – there are a variety of courses from easy to advance. And after a long day on the water, Lake Macquarie offers a wide variety of accommodation options (including some with lake access for small boats), restaurants, bars and clubs to relax and unwind. Log onto http://www.visitlakemac.com.au to explore the options and book your getaway today, or contact the Visitors Centre on 1800 802 044 or in person at 228 Pacific Highway, Swansea NSW.